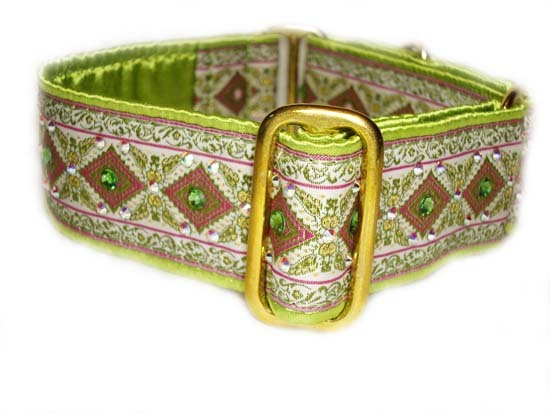 Divine Sparkle Peridot Wow! 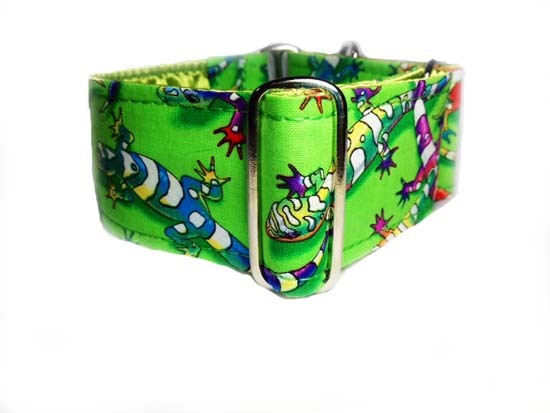 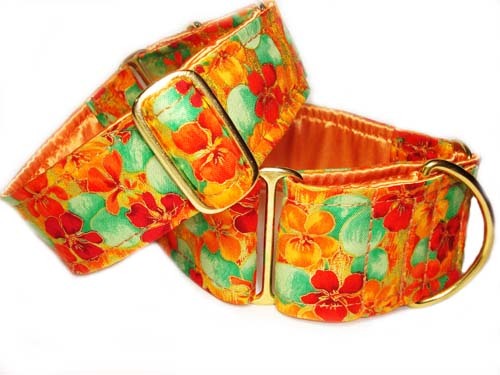 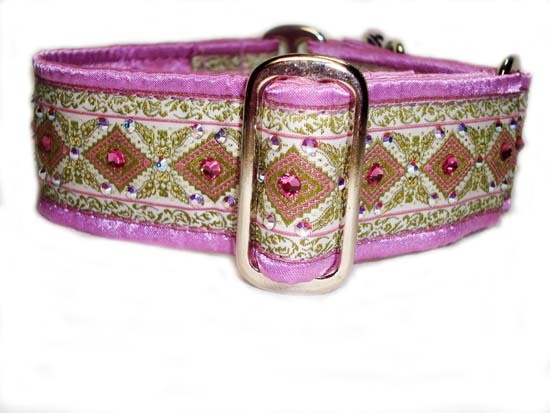 This collar really sparkles with genuine green peridot and aurora borealis Swarovski crystals securely affixed to a jacquard ribbon that has been sewn onto a bright glow green cuddle satin wrapped base. 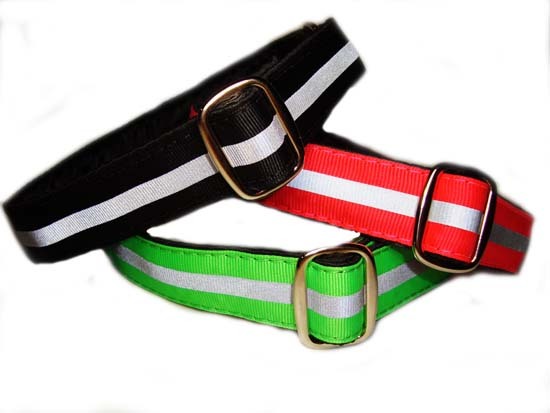 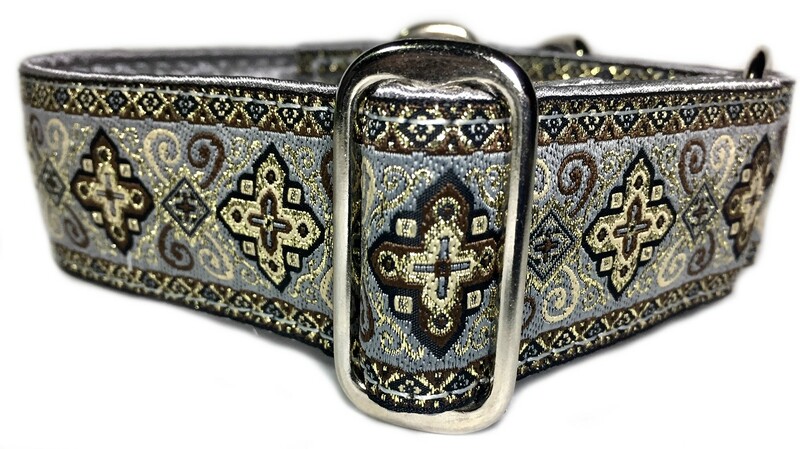 Available as a 1.5 inch wide collar with your choice of nickel or brass (shown in photo) hardware. 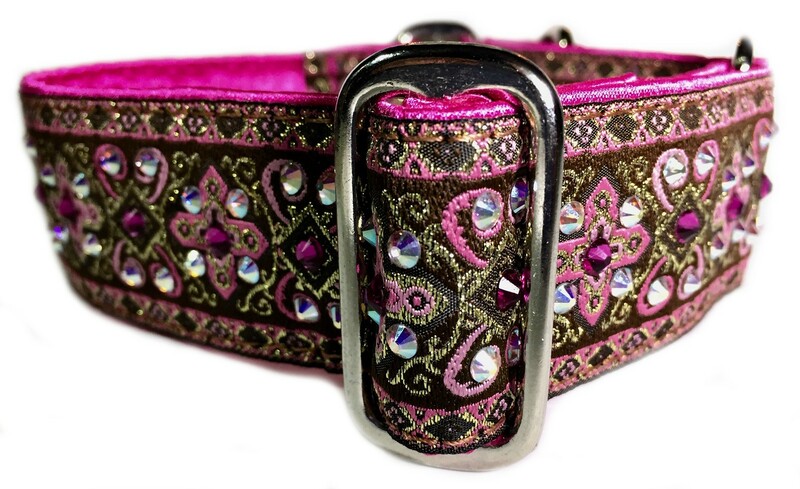 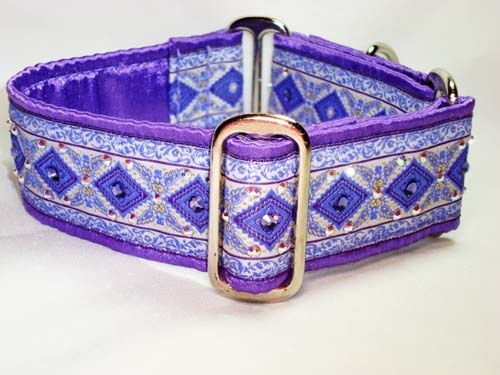 Although the crystals are quite secure, I do recommend this collar be saved for those special occasions.